It may surprise you but Romania has lots of wonderful beach resorts. They are well used during the warm summer months where temperatures can be between 25-35 degrees. Perfect for sun bathing! From party beaches crowded with young people having fun to quiet family beaches – Romania has it all. I have listed my favorites below. All of them are worth seeing and offer the visitor something different. So why not dive in and make a splash at one of Romania’s beach resorts! It`s the largest summer resort on the Romanian coast of the Black Sea (length of 7 km and a width of 100-250m). Throughout the very fine sand covered beaches are elegant hotels placed near the coast, offering a beautiful view unlike other resorts where accommodation is spread across the area. The temperate climate with marine influences allows development for the coastal tourism as the average annual rainfall has a low value (about 400 mm/year). Summer season lasts from early May to late September and the eastern exposure helps increasing the time spent tanning on the beach as the sun stays shining longer. So if you decide traveling to Constanta during the hot seasons, you will only need summery clothes, light open shoes and don`t forget about the sunscreen and swimsuit. If you find yourself going around by car, this resort can be reached by passing an instant barrier at the entering point (near Parc Hotel), where there might be required in paying a small fee. Another way of enjoying the view of Mamaia, is by cable car , this being one of the most popular ways of transport through this area. So if you don`t have a fear of heights (50 m away from the ground) than this could be one way of observing the resort along a distance of 2 km. Constanta City Tour is a freshly installed urban transportation that runs from the Train Station of Constanta to Mamaia barrels area. It has 7 stops, all of them with a touristic attraction. This route has about 30 km and the complete circuit takes about 2 hours. 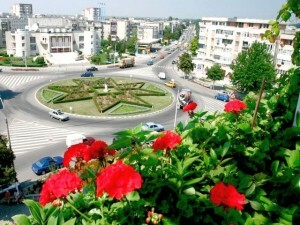 RATC is the means of transportation through Constanta and it connects the city with Mamaia resort as well. Mamaia is also packed with shops and boutiques selling traditional things for those who like keeping souvenirs. 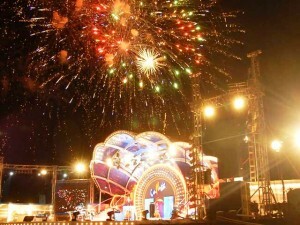 The resort`s nightlife offers many options for everyone. There are Cafes and restaurants, terraces and taverns, bars and pubs along with plenty of luxurious clubs that stay open until dawn. 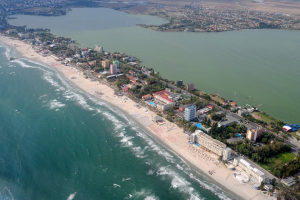 Mamaia the most lively resort on the seaside it`s not only a perfect choice for people who love having fun but as well for those that are active and enjoy sport. Eforie is known by locals as being divided into Eforie Nord (North Eforie) and Eforie Sud (South). 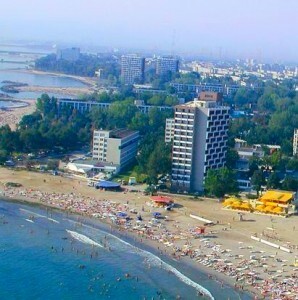 These small towns are also holiday resorts located on the Black Sea Shore and are part of Constanta County. 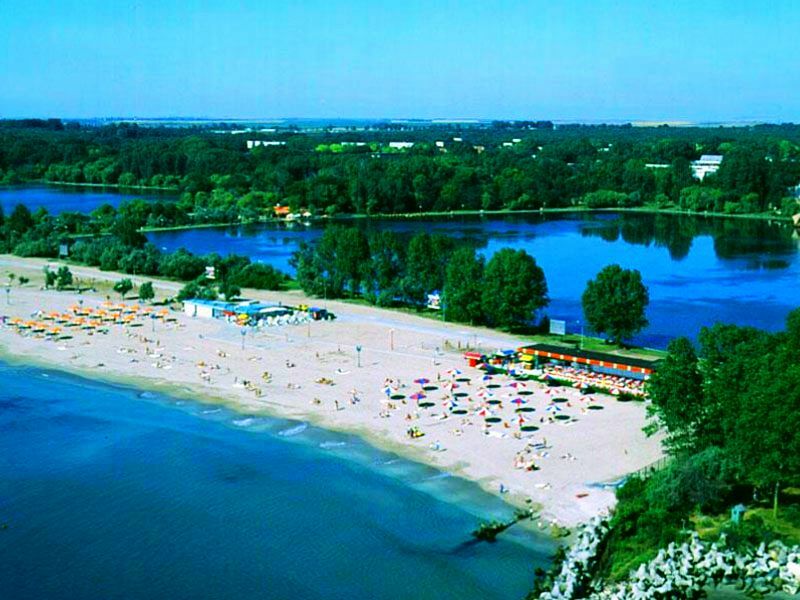 Located at 14 km from Constanta, Eforie Nord is known as a Spa for a long time and considered a resort. Compared with Mamaia, Eforie is a more isolated peaceful place situated between The Black Sea and Lake Techirghiol at 6-20 m above sea level. This place is popular throughout the year as it is really well maintained being famous among families with children. This resort is suitable for children because one of the bays has shallow water. So children can play in the sea without any danger. In the Sanatorium there are many facilities for warm baths in the tub and pool with concentrated salt water from the Lake Techirghiol. Elderly people favored this place for treating themselves successfully. 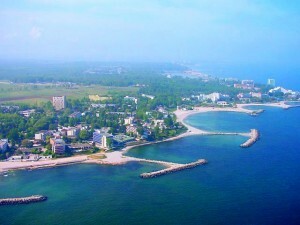 Eforie Sud is situated at a distance of 19 km from Constanta and just 5 km south from its twin, Eforie Nord. Eforie Sud became known as a resort in 1912 and between the two world wars was called “Carmen Sylva”. Unlike Eforie Nord, here the place is quieter with narrow streets that are parallel, heading mostly towards the Sea. The cliff, in Eforie Sud is 35 meters high because of a strip of chalk headland, this making the resort higher than all the others. 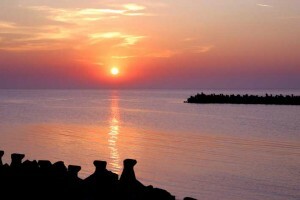 In Eforie Sud you can find one of the most beautiful beaches: “Splendid Beach”. On this particular beach there is a stage for show performances, tables and chairs placed right at the shore line and lovely terraces where you can enjoy a nice refreshing drink. In Eforie Sud, just like in Eforie Nord, there are Spas where treatments can be made. One of the Health spas is located near Lake Techirghiol`s shore. Here people can benefit from outdoor therapies that include: mud treatments and bathing in the Techirghiol Lake. Mud masks are designed to enhance cellular regeneration, given that mud is rich in minerals. It is suitable for oily, mixed or dry types of skin, considering that all kinds of mud contain over 50% water. Neptun is located at a distance of 6 km from Mangalia and 38 km from Constanta on the Black Sea Coast. This resort is near the edge of a Forest and it is surrounded by an interesting collection of plant life. Terraces that make the resort pulsate with life during summer. It is an equally frequented place not only by young people but by families with children as well. 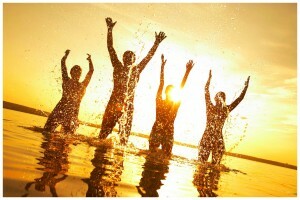 The variety of options for relaxation or entertainment is what attracts tourists. Even with all these choices given for having a great time, the strength of Neptun remains the beach (2 km length) with its fine white sand that sparkles under the sun. 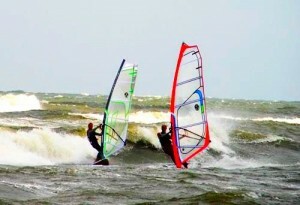 Olimp is at a distance of 7 km from Mangalia though extremely close to Neptun. It is in fact so close to it that could actually seem that Neptun and Olimp together form just one resort. This very small seaside resort attracts many visitors during the summer. Olimp is mainly preferred by people searching to enjoy peaceful and quiet moments of relaxation. During communism, Olimp was a very expensive resort as it was considered a luxurious seaside place reserved only for the guests of honor that Ceausescu (the president back then) used to invite. Nowadays, Olimp can be visited by whoever enjoys calm surroundings and tranquility. Jupiter is located at a distance of 40 km from Constanta and 5 km north from Mangalia. The beach in this resort has a length of 1 km and is placed in a bay. Jupiter’s coastline is fragmented by many creeks and dams giving this place a charming appearance. This resort is the smallest resort on the Romanian Coast. Its placement it’s ideal for relaxing and enjoying a peaceful time away from the crowded noisy city. 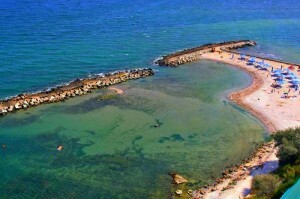 Venus resort named after the Goddess of love and beauty is located 41 km south from Constanta. Its more precise location is between Jupiter and Saturn. The resort is lovely in the summer when the temperatures are above 22 °C and the sea is just perfect for a nice refreshing swim. Due to eastern exposure (like all the other resorts on the Black Sea Coast), you can enjoy the warmth of the sun longer (10 to 12 hours a day). Though Venus is a quiet place it still has many entertainment possibilities and the accommodation offers are able to fulfill even the most demanding tastes. You will find in Venus several good restaurants, cafes, bars and night-clubs along with an outdoor cinema and an amusement park. On the Black Sea Coast, not only Health Centers can offer therapy treatments but the marine climate itself is a natural cure factor. It is known that this particular climate is rich in saline aerosols and solar radiation that are a good for the human body. Venus is a genuine attraction for tourists eager to relax and enjoy beautiful moments while enjoying the sunshine accompanied by the refreshing sea breeze. Saturn is located 43 km from Constanta but very near to Mangalia. This resort is another lovely place where you can enjoy the good hot weather during the summer and the warmth of the sea with its cool breeze. 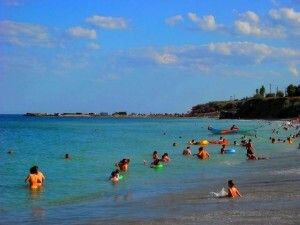 Saturn beach stretches over a length of about 2 km, between Venus Beach (in the north) and Mangalia Beach (in the south). There are in Saturn many hostels and hotels with all needed facilities to suit different preferences. Another bonus for this resort’s popularity among tourists is not only the beautiful plants and flowers that most streets have but as well the low prices. It is a beautiful city but as well a resort, situated 45 km south of Constanta. Mangalia has also lovely seashore covered with fine sand and that stretches between Saturn and the north dam of Mangalia Harbor. 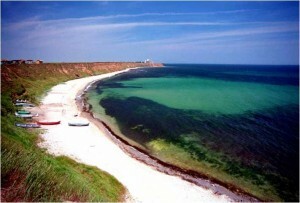 The beach is bordered by a high cliff which is popular among people eager to relax by frequently strolling on the beach. 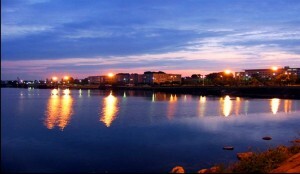 Mangalia is a fast growing city, clean and elegant, famous not only through its charming places but through its Treatment Centers as well. Like all the other resorts from the Black Sea Coast, Mangalia has Spas where different disorders can be successfully treated. The greatest thing about Mangalia and all the Romanian resorts is the marine climate which is rich in saline aerosols and solar radiation being a good benefit for the health. In Mangalia there are several nice hotels among them is 4 stars President Hotel which I think is the most beautiful one. 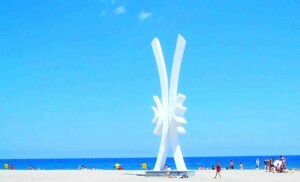 It is located in the city centre at only 50 meters from the beach. The unique thing about this hotel is that it holds in its structure, a fragment of the Roman Fortress Callatis. The archaeological vestiges had been restored then placed in both the lobby and the restaurant’s basement. The Fortress Callatis was in the late 6th century one of the most flourishing Greek colonies. Nowadays Mangalia is situated on the exact place of these Fortress ruins. Mangalia has plenty of lovely restaurants and terraces where you can relax while enjoying a drink and having a fine meal. The sea with its warm fine sand beaches is another wonderful option for having a taste of what Mangalia has to offer. The average sea temperature in the summer is 21°C – 23 °C making it perfect for swimming especially when looking to cool down from the hot sun. The annual average temperature is 11.3 °C (in January 0 ° C and in July 22 ° C). Due to its eastern exposure the coastline guarantees continuously sunshine 12 hours/day. Costinesti, known to locals also as “The Youth resort” holds plenty of attractions for young people looking to party. It’s popular with students as it’s cheap. 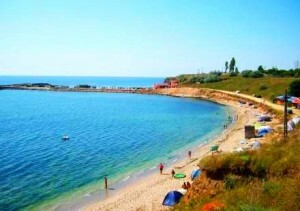 It is located on the Black Sea Coast 31 km south from Constanta. The beach in Costinesti is considerable big having a length of 800 meters and a width of 10-15 m.
This village-resort is really popular among students and in generally young persons especially because of the low prices encountered here. In Costinesti accommodation can be easily found as there are a lot of lovely looking villas and several hotels which offer high quality at low prices. Not for nothing is Costinesti so loved by youth. Annually in this resort there are being organized recreational camps for children and teens. 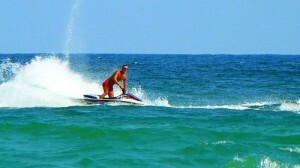 Costinesti has also diverse recreational activities and opportunities for adults to enjoy themselves as much. Restaurants and terraces with a cosy atmosphere are ready and waiting to receive whoever wants to experience a nice traditional Romanian dish but as well as other international cuisines. You will find that Costinesti is full with wonderful surprises. In Costinesti there is a small lake inside the shoreline named “Lake Costinesti” which due to its high salinity formed a significant layer of mud. This mud is used in treating rheumatic diseases. 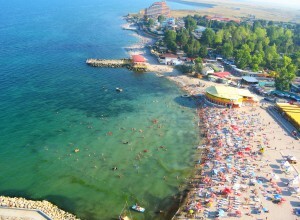 2 Mai is located at about 53 km from Constanta and it is quite small comparing with the other resorts. This place is mostly known for its cosy peaceful atmosphere. However this doesn’t keep it from being fairly popular among people looking for some peace and quiet. 2 Mai doesn’t have many modern hotels or villas but tourists that enjoy calm and tranquility find this place charming. but not only, as you can find it in villagers homes as well. There is also a really well equipped camping on the beach. 2 Mai is not lacking restaurants, clubs, cafes and night clubs if some wish to enjoy more then the calm surroundings. So if you are seeking an escape from crowded cities and do want a nice relaxing and peaceful holiday then 2 Mai might be the ideal place for you.